“The security officers are firing heavy tear gas. The Sudanese armed forces are not “against the demands” of protesters seeking al-Bashir’s departure, the country’s defence minister has said, warning, however, that the army will not allow a “fall into chaos”. 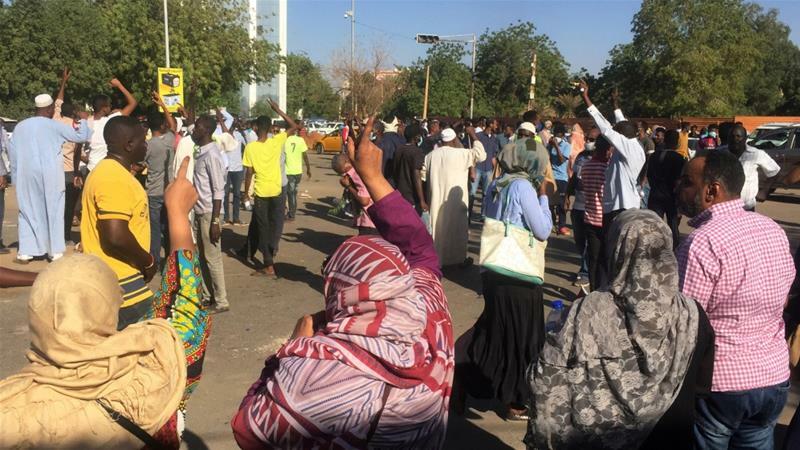 Earlier, as crowds in Khartoum shouted slogans such as “Sudan is rising, the army is rising” to encourage the armed forces to back their demands, the protesting Alliance for Freedom and Change group sought direct talks with the army forming a transitional government.